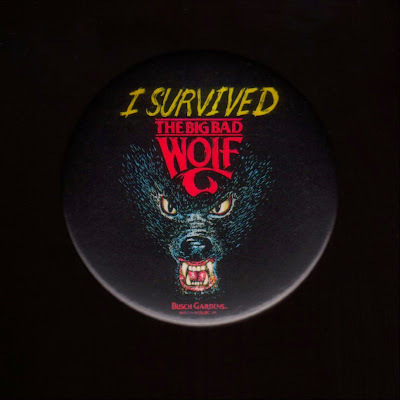 Some time after nightfall this evening The Big Bad Wolf will take its final ride through the woods at Busch Gardens in Williamsburg after standing in the park for more than half of my lifetime. It wasn't my favorite roller coaster or my first roller coaster or the biggest or the best, but it was a roller coaster and every time a roller coaster is shut down, taken apart and carted off to the metal recyclers it always makes me think that what Harper Lee said about mockingbirds sort of applies to roller coasters as well... they exist for no other reason than to bring us joy and it seems like a sin to tear one down. Moment of silence for Wolfie.